“Perspectives”. John Pawson for Swarovski, Gilbert McCarragher. 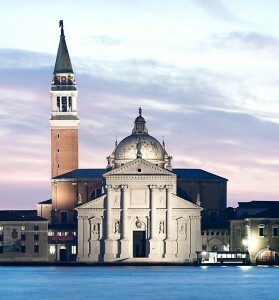 Event celebrating Palladio’s Glorious Basilica di San Giorgio Maggiore. 55th Venice Biennale. Perspectives, by John Pawson for Swarovski, Gilbert McGarragher. Our Thanks for Image. Palladio’s stunning 16th century Basilica di San Giorgio Maggiore. Wallpaper has done a feature on John Pawson focusing the large Swarovski crystal lens in the Basilica, “Perspectives” capturing the magnificent dome interior, during the opening of the 55th Venice Biennale. Swarovski is currently working to restore the statue of San Giorgio, that lies on top of the church.. This marks the inaugural donation of the newly created Swarovski Foundation. Is this part of a Branding strategy for Swarovski as they plan to move into the luxury jewellery market ?